The US Senate wonders about tax policy for the American Dream: Do parents act in the best interests of their children? How should programs intended to support children in low-income families be designed if parents don’t always act in the best interests of their children? This question, among others, was posed to me in response to my July 10th testimony to the Senate Committee on Finance hearing on “Helping Young People Achieve the American Dream.” You can review all of the questions on my November 11th post. In one way or another they address the fundamental drivers of the extent to which children grow up to be adults having the same socio-economic status as their parents. Family background matters for life chances because of three related forces: inequalities originating in the labour market, the capacity of families to invest in the skills and aptitudes of their children, and the degree to which public policy levels the playing field. What parents do matters a good deal, and a question posed by the Committee Chairperson, Senator Max Baucus, recognizes this, and wonders about the implications for the design of public policy. The tax code has a number of provisions aimed at enhancing mobility. I mentioned a few in my opening statement, such as the Earned Income Tax Credit. Most of our programs to help mobility are targeted towards parents. Does it make sense to provide tax benefits to low-income families, which are claimed by parents, in order to increase opportunities for children? Or should we limit such help to in-kind benefits that can only be claimed by children? How can we make sure that programs intended to create opportunity are benefitting children? The United States is unique in the degree to which in-kind, as opposed to cash, benefits are used to address poverty and low-income. Economic theory would suggest that this is an inferior design since it is based upon the assumption that the designers of government programs know what is best for individuals. This sort of paternalism cuts against the general assumption economists make that individuals know their own interests, and are best placed to make choices that promote those interests. Giving them the cash offers the flexibility to adjust purchases according to these interests. In-kind transfers can also entail a social stigma that has a cost, and may as a result lower participation in the program. But decision-making in a family of several persons, whose interests may not all be the same, is not so straightforward. The way in which family resources are spent and shared will depend, to put it bluntly, on the bargaining power of each member. There may be a real concern that the interests of children will not be fully reflected in this process. There is evidence to support the idea that the greater the financial independence of the mother, the greater the share of household spending that goes to things like food, clothing, shelter that benefit children, and less to alcohol or tobacco. This is an “average” result, and obviously does not apply to all families. Yet it is reason enough for most governments to design cash transfers so that they are made in the name of the mother. Even if this is done, the Senator’s question may still reflect a broader concern associated the capacity of parents, and mothers, to make decisions in the best interest of their children. If there is evidence to support this concern—and I should say that I am not familiar enough with the US literature to know whether there is or isn’t—then it should also be noted that a case can be made for cash transfers that are conditional on some activity deemed of benefit to the child: conditional cash transfers occupy that space between a pure cash transfer, and an in-kind benefit. 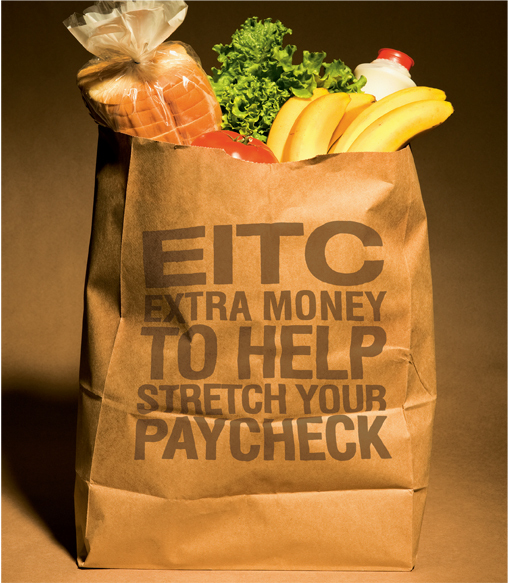 Just as the Earned Income Tax Credit is conditional on working, other types of cash transfers could be conditional on the child having—for example—been vaccinated, having been given regular medical or dental check-ups, having been engaged in athletic or other extra-curricular activities. The payment would offer an incentive to engage in activities policy makers see as benefiting the child, while at the same time still giving the family the extra income to allocate as it wishes. But it should also be clear that this still assumes that the quality of parenting in some families is a concern, and if there is validity to this then in a sense it calls for broader policies concerned with the well-being of parents and any disabilities or stresses they face, their parenting skills, and the connections they have to supports in the broader community. For example, recent policy initiatives in the United Kingdom addressed to “social mobility” have moved in this direction: offering support, information, and education about best parenting practices and community resources, and downplaying the role of income transfers. Its true that most evaluations of Conditional Cash Transferes (CCTs) are done for developing coutries so its hard to know how well these types of programs will do in the US. Here are two brief evaluations of the only CCT program I know in the US. It looks pretty succesful but I wish they had not only had a control group that has no opportunity to receive the conditional benefits but also one that receives benefits unconditionally, so we would truly know if a CCT is better than a plain CT. The results look pretty impressive, but I wish they had included a control group where people receive unconditional transfers instead of just comparing cct recipients to nonrecipients, so its really hard to know whether a CCT is better than a simple CT. Thanks for these comments and for providing the links to these publications. m.
Brazil has those kind of conditionnality on social measures ( such as school attendance). The results seem to be very effective. Thank you. It is also a component of social policy in other countries, most notably in Mexico. « The US Senate wonders about tax policy for the American Dream: How can income transfers be designed to benefit all children in need?